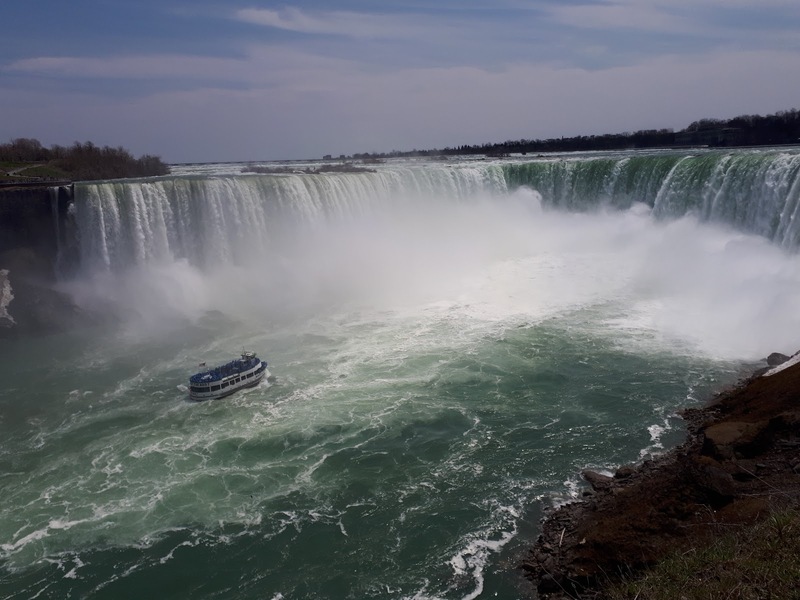 If you are visiting Toronto you absolutely must visit the Niagara Falls - the biggest water fall in North America! Car rental and petrol isn't expensive (up to $100 for the entire day) and it takes up to 2 hours to get there, including traffic. There are also trains running to the city, but that is slower and won't allow you to explore the vineries next door afterwards. Instead of going straight for the falls, start your day with a visit to the wineries in the Niagara Falls Valley. We went to Inniskillin for a Wine Tour which included a 45 min tour around the area and a brief wine tasting. They are particularly well known for their Icewine, so expect to hear a lot about it! The tour is only $20pp and if you buy any 375ml icewine, you get those $20 off, so it's basically for free. The tours run almost on an hourly basis, the groups are small and informal, and the guide was fun and very knowledgeable! The information we found online about tour times was completely incorrect - so best to call or just show up and see what's on offer! Once you have done the wine tasting you can drive over to Niagra Falls town. Avoid traffic and lack of parking spaces, and instead park for free more mid-town - we parked by AlMac's Buffet and walked over to the falls. It's a rather entertaining walk through the town, because it's filled with fairly dated entertainment, almost feels like an old-fashioned amusement park. Finally, when you get hungry, don't shy away from the Queen Victoria Place Restaurant. While it looks like the perfect tourist trap, the food was decent and the views from their balcony allow to enjoy the falls that much longer. If you stay late enough, the falls get lit up and offer a different angle to it at night.